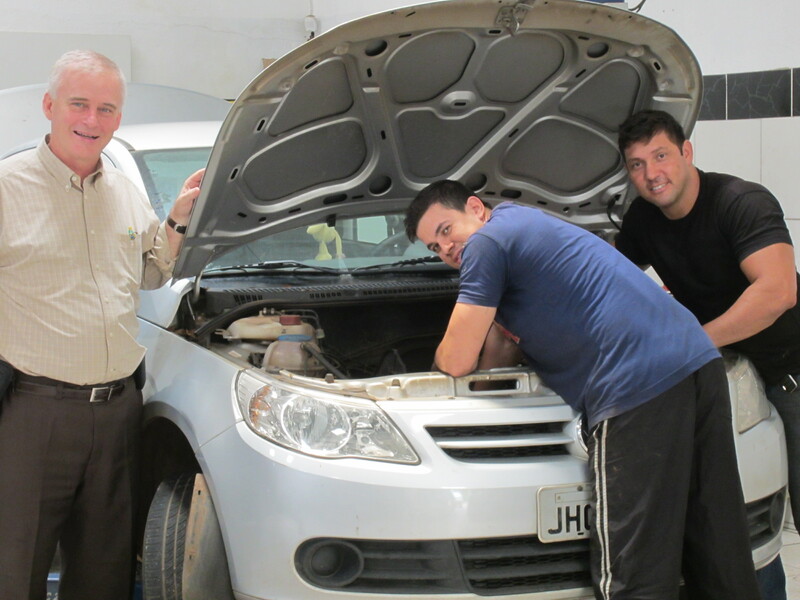 As I spoke to Goiano, I saw he that was very open to receiving God’s Word. It took a few trips back to the mechanic before we could zero in on what was wrong with the car, which gave me time to zero in on how best I could present the Gospel in word and deed. Besides visiting the shop, I also visited Goiano at his one-room apartment, sharing with him spiritual and personal counsel, and giving him a Bible. I discovered that he came to Brasilia to attend college and that he lives alone. He is wary of religiosity and very cautious about new acquaintances, but he has shown himself open to the Gospel message. The owner, Nena, is also open to receiving the Word. He even told me we could hold a service right there in the shop if we wanted to. The LORD has brought Goiano and Nena into our lives and hearts. Pray that we will be faithful in keeping the trust the LORD has given us to bring them into the fold of God’s family. Brother Dan, that is so wonderful to hear. May God continue to bless you in all that you do! Even getting your car fixed! I’m praying for Nena and Goaino that they will have a clear and definite experience of salvation and the wonderful presence of the Holy Spirit. Moral of the story: if your car is a lemon, make lemonade! Seriously, God is amazing the way He uses seeming disasters like car trouble to advance the Kingdom. Thanks for being ready to share. We look forward to hearing about God’s future work in these men’s lives. Awesome story of GOD at work in you. Makes it even more fun to pray for you. Yes, I agree with Gary and Kay. It is good to hear this story. My husband and I pray for you and Hope nearly everyday. Once we were praying for a specific thing and shortly after read of it happening.